Through the course of my life, I have come to understand that I thrive on human interactions. When I was little, I played every team sport my parents would sign me up in. Not because I was a great athlete, but because I loved team sports. In high school, I continued team sports and found myself involved in far more clubs and organizations than my schedule could realistically handle. The summer after my freshman year in college I found myself a job at a summer camp in the Sierra Nevadas called the Lair of the Golden Bear. It was awesome. I was surrounded by energetic, outgoing, loud, enthusiastic, and creative co-workers who all loved people as much as I did. I couldn’t think of a better place to be. We did all the menial chores to make the camp work, but it didn’t matter because the people around me were so enthusiastic. It was so good I did it for a second summer. Again, I flourished in a community of people hooting, hollering, talking, connecting, working, playing, bonding and learning. I had discovered a society that was nourished by personal contact, just like me. How could things get any better? After my second summer as a camp counselor, a friend approached me about a new fellowship at Santa Clara University called the Global Social Benefit Fellowship. It would utilize my skills as a filmmaker for social good, and give me a wonderful opportunity to travel as well. I wasn’t sure if it could top being a camp counselor, but it was intriguing enough to apply. About six months later, I was boarding a plane to India crossing my fingers I wasn’t going to be a failure. On the plane flight back, I knew two things. I wasn’t a complete failure, I had gotten enough quality footage to create the videos I promised, and my experience in Kolkata was even better than being a camp counselor. It contained the quality I loved most about being a camp counselor, large quantities of deep personal interactions with people, but with an added a twist. This time, I learned how powerful connecting with people unlike me can be. In Kolkata, India I filmed promotional videos for two sister enterprises, Anudip, a non-profit focusing on rural education in English, IT, and workplace readiness, and iMerit, a social enterprise that employs the Anudip graduates in the business process outsourcing sector. My video work required me and one of my partner fellows, Lauren Farwell, to take many four hour trips on trains to rural villages. Three co-workers, Prakash, Raju, and Arnab, would take turns accompanying us on trips to both facilitate my project and ensure my safety. These train rides turned out to be my favorite times in India, as they allowed for engaging conversations that projected an image of India no film or article could. The discussions ranged from fun talks about Raju’s baby (He was born during my fellowship! ), Arnab’s wife to be (I believe she would be called high-maintenance in America), and Prakash’s tattoos (One was a cross on the back of his right hand). As the time passed, the conversations changed. The topics soon broadened to culture, norms, purpose, service, economics, and the environment, but somehow, always ended back up at love and relationships. Yet, the most thoughtful experiences happened once we got off the trains. 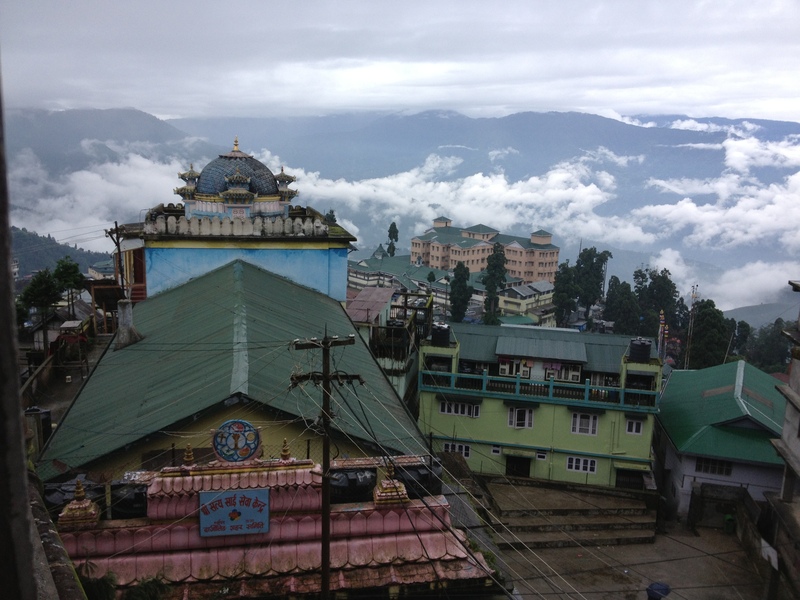 Lauren and I visited many centers, homes, and villages, wherein we heard a multitude of somber, inspiring, and remarkable testimonies, but there were three interviews that woven together give the clearest picture of my work, Anudip and iMerit, and the brilliant people involved in the two organizations. The first experience found Lauren and I in front of a large group of eager women in one of Anudip’s DREAM (Developing Rural Entrepreneurs Through Adoption and Mentoring) centers in Harindanga. This particular center focused on teaching tailoring. The women were learning how to make traditional Indian clothes in order to open shops in their respective local villages. In an attempt to draw out the best answers, we made the interview “popcorn style”. We asked the questions to the entire group and anyone who wanted to answer need only raise their hand or reach for the microphone. As we inquired about their lives, the women passed the microphone around and told us about their lives and family. Some were local, but many came from long distances to receive training at the center. Many were shy, but all were clearly passionate about learning a new skill. 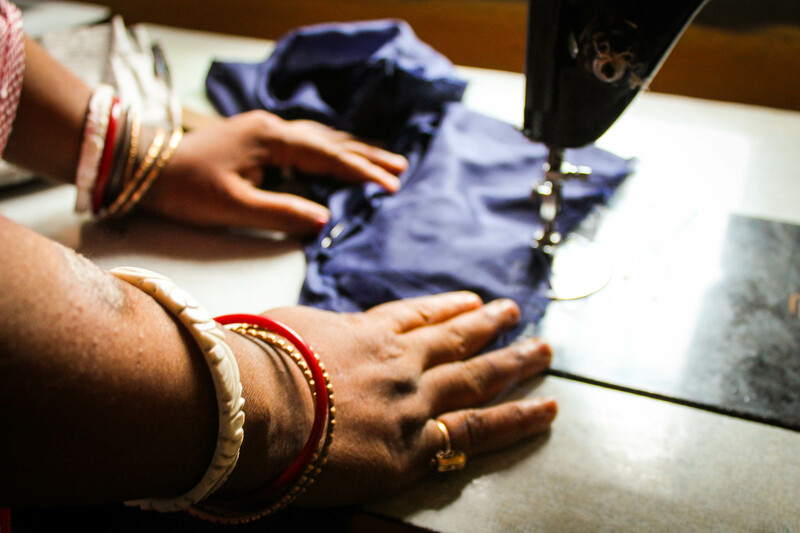 When we asked why the women wanted to learn tailoring, one woman gingerly reached for the microphone and explained her motivations in very simple logic. If the family needs five rupees, but the husband only brings home three rupees, where will the other two come from? The other women echoed her sentiment in subsequent responses. 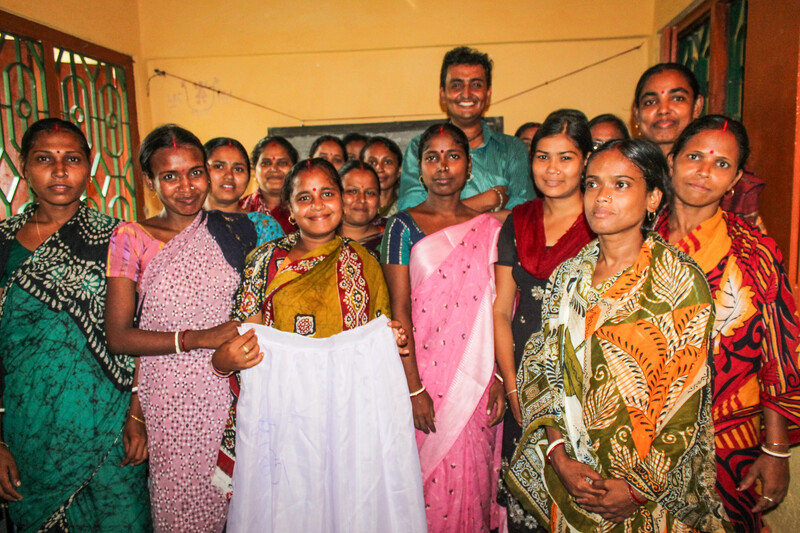 Learning tailoring through Anudip’s DREAM program gave them an opportunity to earn the other two rupees. This woman’s simple logic, frames the next interview perfectly. In our second interview, Lauren and I were lucky to have a chance to talk with the father of one of iMerit’s female workers. During our initial questions, he praised iMerit and claimed it was a good place for his daughter to work. Further probing revealed that though he supported his daughter working at iMerit, where she is a team leader, her family’s financial need was the only reason she was allowed to work anywhere. If the family did not need the income she provides, she would not work at iMerit, but stay at home. By the end of the interview, it was clear, despite the language barrier, that my viewpoint on women in the workplace differed greatly from his. Yet at the end, my companions and I were offered wonderfully cold 7up in tall glasses, a small luxury. This interview speaks to me about the power of Anudip and iMerit’s approach, because they melded the need for ‘the other two rupees’ into a brilliant opportunity for women. I went to India worrying about whether my experience was going to be better than working as a camp counselor. Summer camp was fun, exhilarating, and enjoyable installing the important virtues of positivity, enthusiasm, and engagement. India and the Global Social Benefit Fellowship took the foundation of summer camp and built upon it consciousness, passion, and this small belief that the world’s problems might not be insolvable.